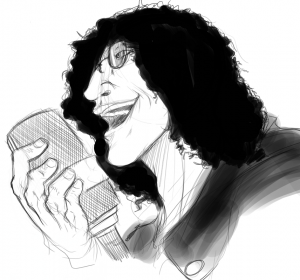 If Howard Stern follows through with his threats to leave or retire when his current Sirius XM contract expires, his departure would be a crippling blow to the company. Even if he decides to sign on for a few more years, the extremely popular host just turned 60 and has often said he won’t be like Don Imus or Larry King, clutching a microphone until he is dragged away from it. So, whether it’s 2015 or a few years later, Sirius XM has a huge problem on its hands. When Stern joined the then Sirius Satellite Radio in January 2006, the struggling company had 600,000 subscribers. Now, having merged with rival XM, the combined Sirius XM, in its fourth-quarter financials, claimed 25.56 million subscribers. And though the company does not release ratings for any individual channel, a large amount of its paying customers listen to Stern primarily, if not exclusively. In fact, back when Stern was making news about leaving rather than take a pay cut from his rumored $100 million a year salary, Forbes reported that 60% of Sirius’ audience listened exclusively to the controversial talker. Even if that number was an overestimate or has fallen as Sirius XM has grown its subscriber base, the potential subscriber loss from a Stern departure could mean a stunning business hit. With a mid-priced Sirius XM subscription costing $14.99 a month, a loss of 1 million subscribers would mean $14.99 million a month or $178.8 million a year — a huge loss even when you subtract Stern’s salary. If only a million subscribers leave with Stern, the blow is manageable. If the number were considerably higher — and there are strong reasons to expect it would be — the news could destabilize the company. Unlike in television, where the next hit is always potentially one pilot season away, there are no short-term solutions in radio. Stern’s current deal expires in December 2015 and, if you believe the radio hosts persistent on-air rants, he could go to a pure Internet play or simply retire. When the host took his show to Sirius from terrestrial radio, the stations he was on tried a number of alternatives, including David Lee Roth, Adam Carolla, and later, younger Stern knockoffs Opie and Anthony. None of those shows succeeded. The David Lee Roth Show earned a market share of 1.8% in January 2006, down from the 7.9% Stern attracted the prior month. Today, Roth is back fronting Van Halen, Carolla hosts a successful podcast, and Opie and Anthony have a dramatically lower profile than Stern’s channel on Sirius XM. The flagship terrestrial stations that aired Stern’s show not only struggled to replace him, many of them had to change formats, in no small part due to his departure. Stern’s flagship, New York’s K-Rock even had to dump its rock format and move to Top 40. In Boston, Stern’s station WBCN, one of the most iconic rock stations in the country, simply went away. The New York Daily News reported in 2009 that when he left for satellite in 2006, CBS Radio’s then-CEO Joel Hollander estimated Stern generated an astonishing 10% of all CBS Radio revenue. According to the same Daily News article, that number was even higher at K-Rock — the last couple of years Stern was there, the station collected more than $50 million in ad revenue, and finance people said about 75% was from Stern. One of Sirius’ strongest attributes is that it has had a very low monthly churn — losing just 1.9% of subscribers per month in 2012, the last full year for which results are available. That number is especially impressive when you consider it takes into account people who get a free subscription with a new vehicle and must choose to stay a customer and pay after the trial period. Still, with so many of its customers fans of Stern more than of Sirius XM, you have to imagine there will be a large migration if he leaves. That number would likely be much greater if Stern decided to stay on the air, but move his show elsewhere. Both Yahoo and Apple’s iTunes were rumored destinations when his contract was last up. It’s also possible that Stern, who has famously butted head with his bosses at pretty much every stop on his career, will simply partner with a company on the technical side and take his show to the Internet under his own flag. Sirius has thrown money at a number of celebrities including Oprah Winfrey, who Stern famously ranted about as she received $18 million a year (according to The Hollywood Reporter) for a deal where she appeared on the channel in an original show for just half an hour a week. Martha Stewart also got millions for her now defunct channel. And channels branded to Maxim and Cosmopolitan magazines have come and gone. Realistically, as was proven when Stern left terrestrial radio, there is no one person or even group of hosts who can fill his seat. The best bet for Sirius, if Stern were to retire, would likely be to keep his two channels — Howard 100 and Howard 101 — on the air with a mix of repeats (the company will own more than 30 years of shows by 2015) and new programs featuring various Stern sidekicks. If Stern stays on the air, it’s unlikely his audience would stick around for the Gary “Baba Booey” Dell’Abate show or even for sidekick Robin Quivers, and it’s unlikely any of Stern’s main cast would ever desert their boss. But if Stern hangs up his mic, perhaps Sirius XM could entice him into an ongoing relationship by employing his crew (whose post-show futures he has often worried about on the air). Howard 100 and Howard 101 without new Stern shows would not be the same, but having the channels with new programs from familiar people in the Stern universe may very well stop the subscriber bleeding. July 9, 2018 : Stern is retired for all intents and purposes. RIP Stern Show.